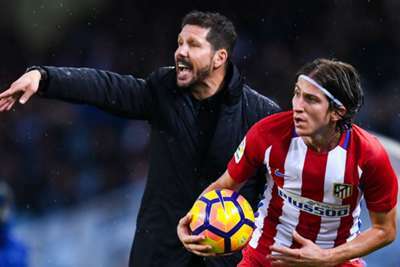 Diego Simeone says he wants "only the best" for Filipe Luis amid reports the Brazil defender is looking to leave Atletico Madrid. Talk of a switch to Paris Saint-Germain has emerged in recent days, with the former Chelsea man said to be keen to explore his options in the final year of his contract. Simeone is keen not to lose Filipe Luis, who is in the squad to face Valencia on Monday, but is willing to accommodate the wishes of a player who has given good service to Atleti across two fine spells in Madrid. "[Filipe Luis] is a player that we love very much, who is very important for the group," he told a pre-match news conference. "He is going to play. "But it is clear that I always want only the best for all of those who have given us everything. "At this moment, I'm focused on Valencia - the group is above individuals. We are all thinking about the Valencia match, including Filipe Luis." Filipe Luis would be leaving behind a strong side, boosted by the arrivals of Rodri and Thomas Lemar, among others, and fresh from defeating Real Madrid in the UEFA Super Cup. But Simeone insists it is too early to assess the team, believing the adaptation of the new men is much more important than their eye-catching individual talent. 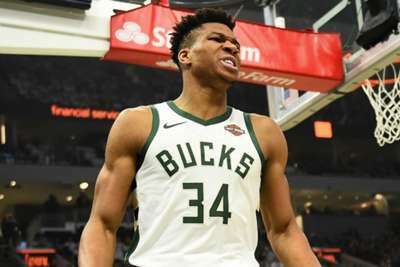 "Little by little, we're trying to acclimate the new players, so they can feel like they're a part of the team," he said. "Hopefully they will do as quickly as possible. "We're happy with the squad. We'll see at the end of the season what kind of squad it is. "As of now, the individuals are good but I always say the same thing: you can't have a good team with just individuals. For that, you need men who are part of the group and work for the team."